Getting niacin into your diet pays off with multiple benefits—it can lower your cholesterol, for example, and provide an energy boost. Cereal can be a top source of niacin, but be sure to check ingredient labels. Some cereals labeled as "natural" aren't fortified and contain minimal levels of niacin. Niacin is a member of the family of B vitamins, which also includes vitamins B6 and B12, riboflavin, folic acid, pantothenic acid, biotin, and thiamin. Like a lot of its B brothers, niacin—a.k.a. 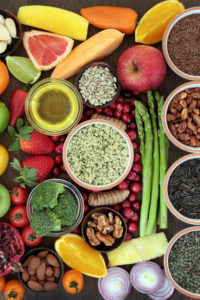 nicotinic acid, nicotinamide, and vitamin B3—is essential for converting carbohydrates into fuel and for producing critical hormones in the body. So… where do we get niacin, and how do we make sure we’re getting enough? The Recommended Dietary Allowance (RDA) for niacin is 14 milligrams (mg) per day for girls and women, age 14 and older, and 16 mg per day for boys and men in the same age range. Slightly more is recommended for women who are pregnant or breastfeeding. The body also has the ability to convert the amino acid tryptophan to niacin. Tryptophan is found in protein, but the conversion to niacin is an inefficient process and it can become even more inefficient if intake of other nutrients is low. 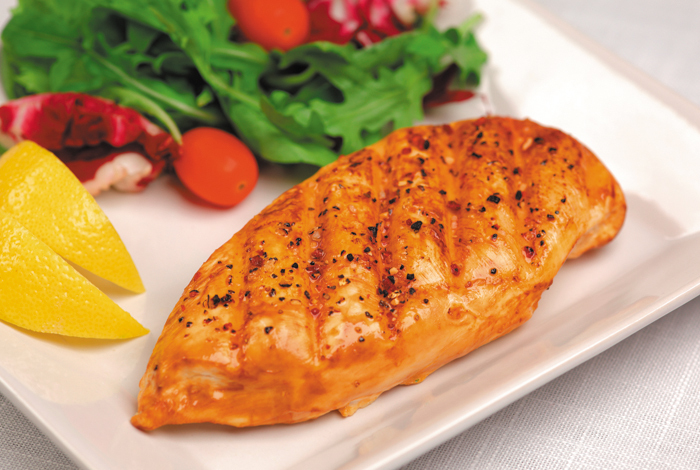 Protein-rich turkey, beef, and salmon are among the richest natural sources of niacin. However, fortified cereals, power bars, and energy drinks provide even greater amounts per serving. 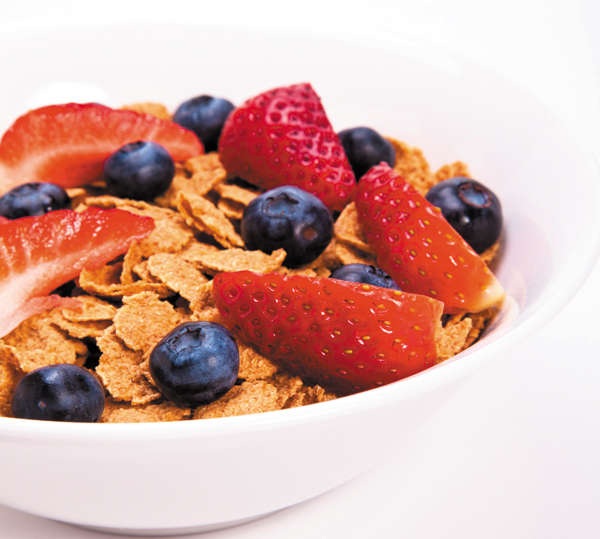 Many cereals labeled as “natural” are not fortified and contain much lower levels. Although niacin in pill form is considered a supplement, in large doses it acts as a drug. Niaspan (extended release) and Niacor (immediate and extended release) are prescription forms of the vitamin, designed to raise HDL (“good”) cholesterol and lower LDL (“bad”) cholesterol levels to reduce the risk of cardiovascular disease. The B vitamin can be even more effective for lowering cholesterol when combined with cholesterol-lowering statin drugs, but it’s unclear as to whether the combination is any better at preventing heart attacks than either niacin or a statin alone. Niacin may be a good option for people who can’t tolerate statin drugs. The effect niacin has on blood lipids depends on the dose. The biggest increases in HDL and decreases in triglycerides occur at 1200 to 1500 mg of niacin per day, and the greatest effects on LDL occur at doses of 2,000 to 3,000 mg/day. These doses should be taken only under a doctor’s supervision because of possible damaging effects on the liver. Niacin also has been studied for its beneficial effects on osteoarthritis, Alzheimer’s disease, cataracts, erectile dysfunction, ADHD, migraines, macular degeneration, and motion sickness, but the evidence is weak for its effectiveness in any of these conditions. However, a recent well-controlled study from Australia did find nicotinamide (500 mg twice a day) to be safe and effective in reducing the rate of new basal cell and squamous-cell skin cancers in people at high risk. At one time, niacin was suggested as a way to improve blood sugar levels. However, researchers have since found that it actually has the opposite effect. It can increase blood sugar levels and is not recommended for people with prediabetes or diabetes. It also is not recommended for people diagnosed with gout, as it can raise blood levels of uric acid. The recommendation also holds true if you have liver disease or kidney disease. The main side effect of supplemental or prescription niacin is flushing of the skin, which can worsen with alcohol intake, although the flushing effect may lessen over time. The nicotinamide form does not generally cause flushing and is better tolerated than the nicotinic acid form. A few people have experienced allergic reactions to prescription doses of niacin, including symptoms like rash, itching, swelling (face, tongue, and throat), severe dizziness, and trouble breathing. Niacin in amounts of 3 grams or more has been found, in some cases, to cause liver damage, though doses as low as 750 mg a day for three months have been shown to cause liver enzymes to be elevated. Don’t confuse niacin or nicotinamide with niacinamide, inositol niacinamide, or nicotinate, which have not been shown to lower cholesterol. Finally, be aware that niacin can negatively interact with other prescription medications. Bile acid sequestrants, such as cholestyramine, colestipol and colesevelam can reduce the absorption of niacin. adhd, alcohol, allergic reactions, alzheimer, b vitamins, b12, bad cholesterol, bad cholesterol levels, basal cell, bile acid sequestrants, biotin, blood sugar, blood sugar levels, breastfeeding, cancers, cardiovascular, cardiovascular disease, cataracts, cholesterol, cholesterol levels, cholesterol lowering, dementia, diabetes, diarrhea, diet, dizziness, energy drinks, erectile, erectile dysfunction, good cholesterol, gout, hdl, heart attacks, ldl, liver disease, lower cholesterol, lower ldl, lowering cholesterol, macular degeneration, migraines, motion sickness, niacin, niacin side effects, niacinamide, nutrients, osteoarthritis, prediabetes, preventing heart attacks, protein, side effects, skin, squamous cell, statin drugs, sugar, sugar levels, supplement, to lower cholesterol, Triglycerides, trouble breathing, tryptophan, uric acid, vitamin, vitamin b3, vitamins.